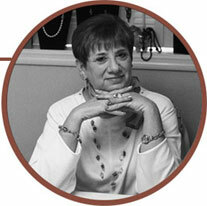 In 1999, the first Circle of Hope Bracelet (COHB) was designed by jewelry-maker Fran Lefrak-Brown of St. Louis, Missouri. Fran, a breast cancer survivor, made a commitment to donate all of the profits from her jewelry business to causes that fight cancer. Fran’s message of HOPE for the bracelets is Hope, Optimism, Peace of Mind, and Enthusiasm for Life. The bracelet certainly acts as a tangible bond for cancer patients, their families and their friends when spirits need lifting. But the Circle of Hope Bracelet is much more universal: It is a life symbol and a visible connection – a sign of unity among those involved in the fight against cancer. Sadly, Fran passed away in 2002 from metastasis from breast cancer. The COHB organization lives on, thriving and growing, and annual sales have grown substantially from the 2002 level. The Circle of Hope Bracelets organization is a living tribute to Fran, a beautiful legacy that she has given us, an expanding community committed to the cancer fight. Reflecting the interests of our volunteers, Circle of Hope Bracelets donates nationwide to dozens of charities that cover a broad spectrum of cancer types. 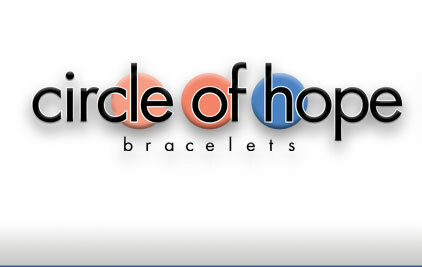 In 2004, the IRS designated Circle of Hope Bracelets as a not-for-profit foundation, subject to 501(c)(3) tax status. All cancer bracelets are made and sold by volunteers. Hundreds of volunteers continue the work that Fran spearheaded in 1999. More than 220,000 bracelets have been purchased since 1999. Bracelets are sold throughout the United States – through individuals and retailers who are committed volunteers for COHB and also though brochure orders and electronic ordering on our website. Most bracelets sell between $18 and $80, with the majority of designs selling between $20 and $40.